The 2018 Honda Civic interior wows drivers with its cozy cabin and accommodating features that are certain to attract drivers from Inglewood and Santa Monica. 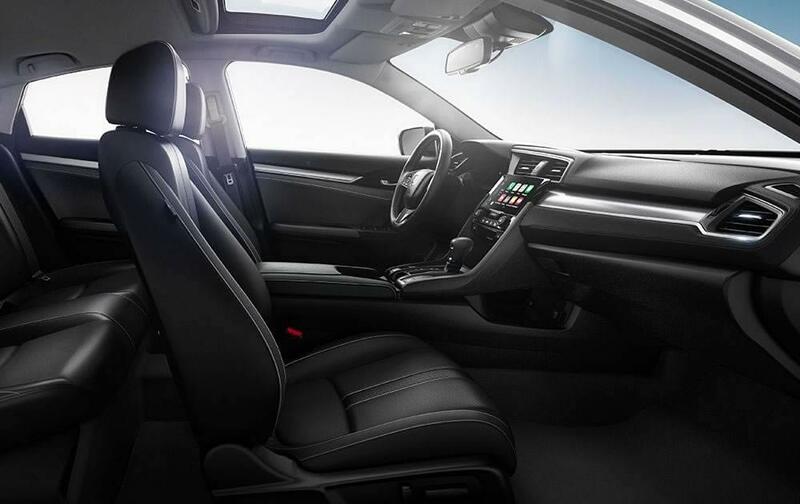 Before coming to Los Angeles to take it for a spin at Airport Marina Honda, take a closer look at some of the top features and design elements of this year’s Honda Civic interior. Starting on the EX-T trim, you’ll get heated front seats for chilly mornings and nights. The Touring trim adds heated outboard rear seats as well. It can be hard to see the buttons you need at night, but Honda has made it easier with the illuminated steering wheel-mounted controls. You’ll have standard seating for five and extra room for storage when it’s needed, thanks to the flexibility of split-folding rear seats. Standard on EX-L, the power driver's seat allows you to set your cockpit experience to your precise specifications. Explore the Honda Civic Interior in Los Angeles! We have a full lineup of new Honda Civics available right now at Airport Marina Honda, serving all your Santa Monica area driving needs at 5850 West Centinela Ave in Los Angeles, CA, so come tour the Honda Civic’s interior today! We offer low-APR financing, and you can contact us online or over the phone at (888) 381-0444.